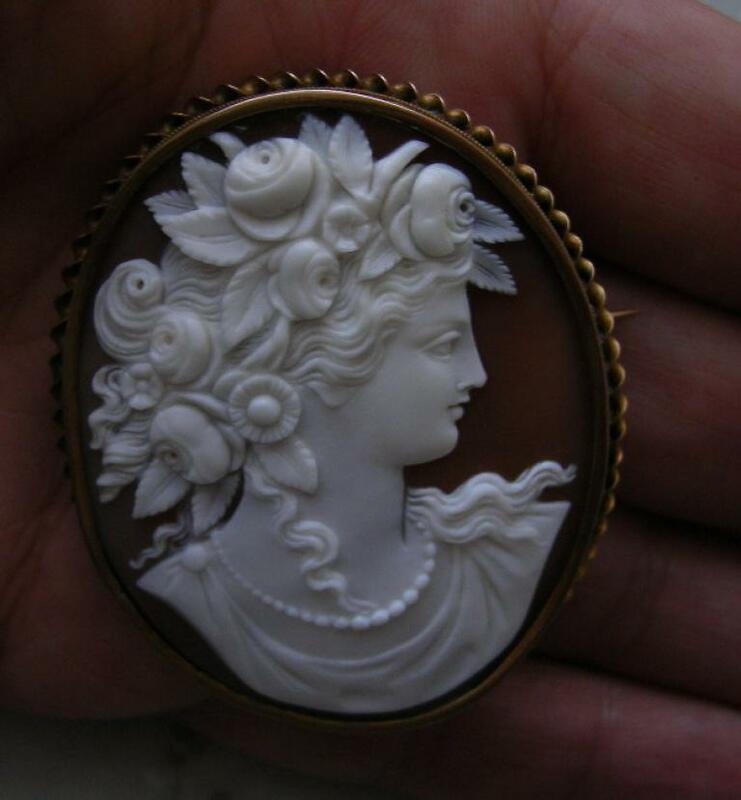 Material: Shell 15 kt gold tested. 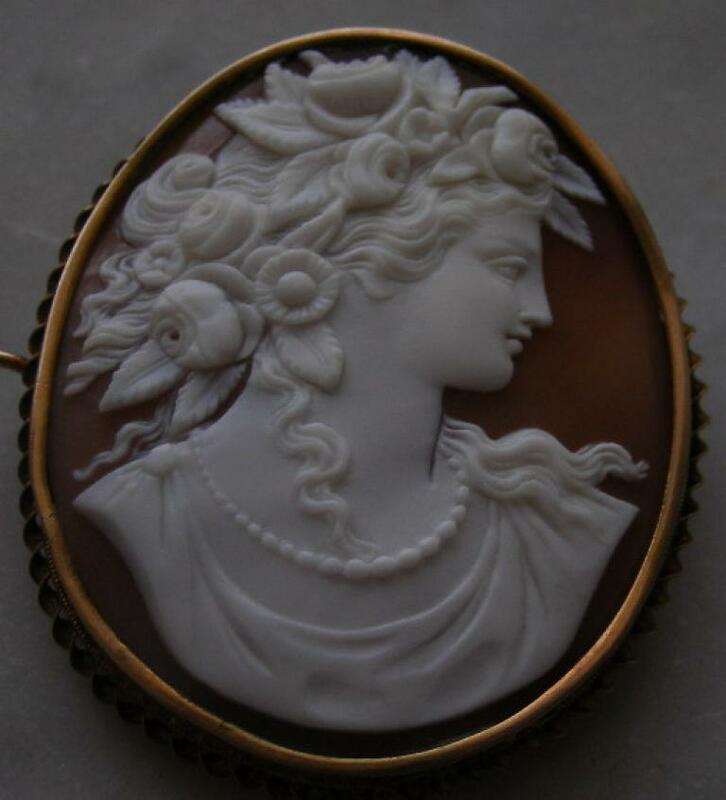 Date and Origin: 1860/1870 ca France, mounting is English. 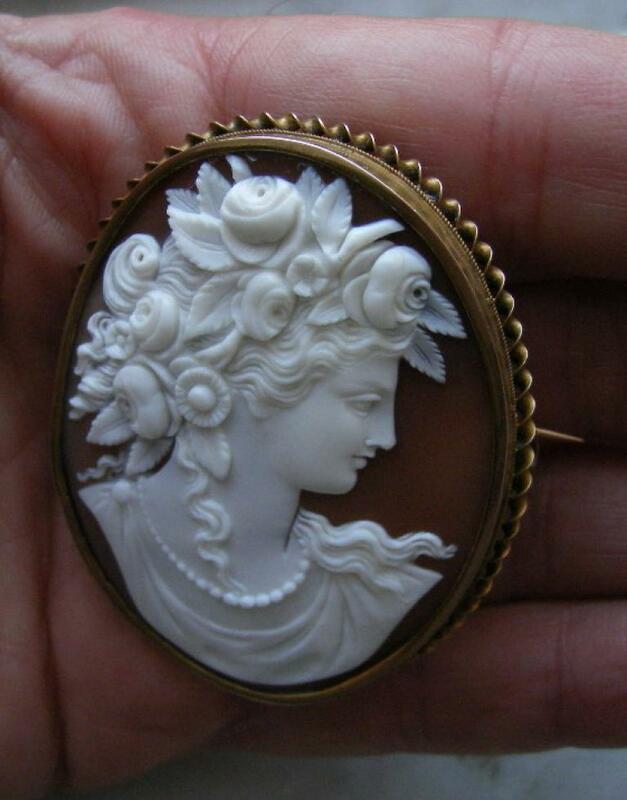 Measures: just over 2 " x just under 1 3/4" including the frame. 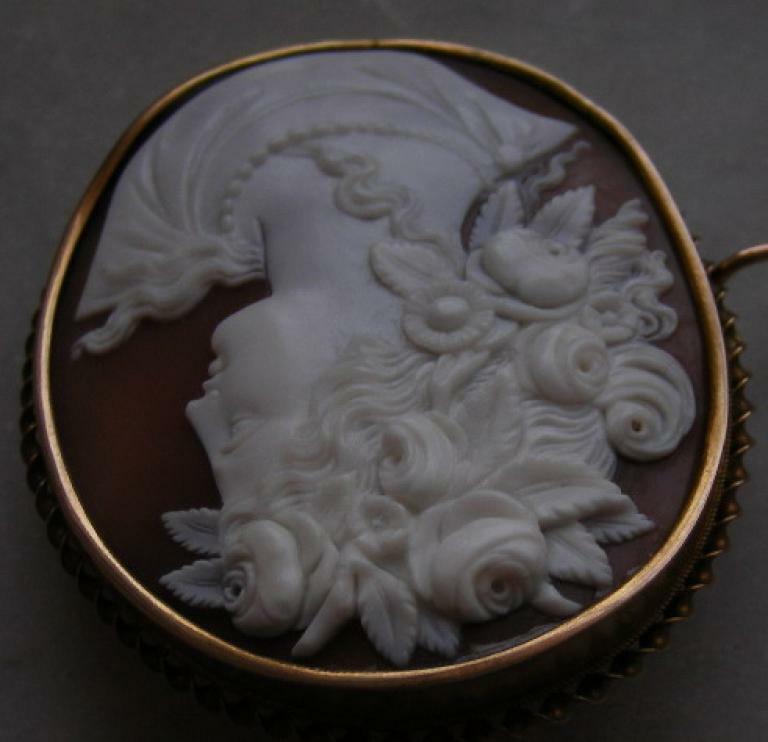 This is a cameo of surpassing beauty. 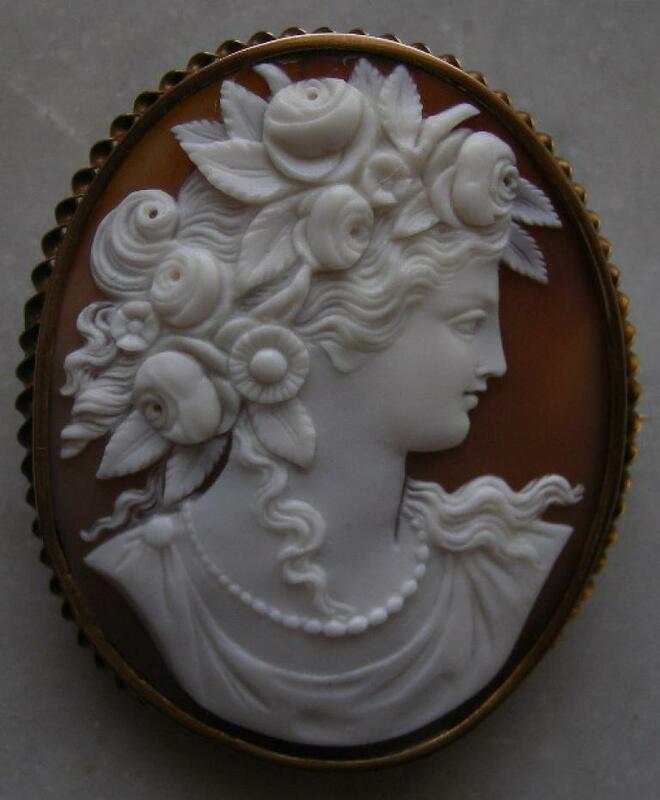 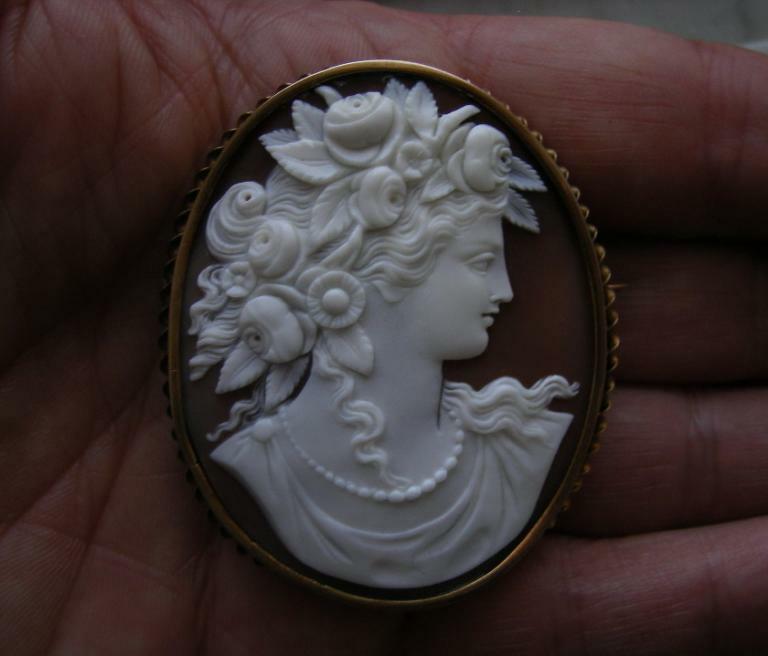 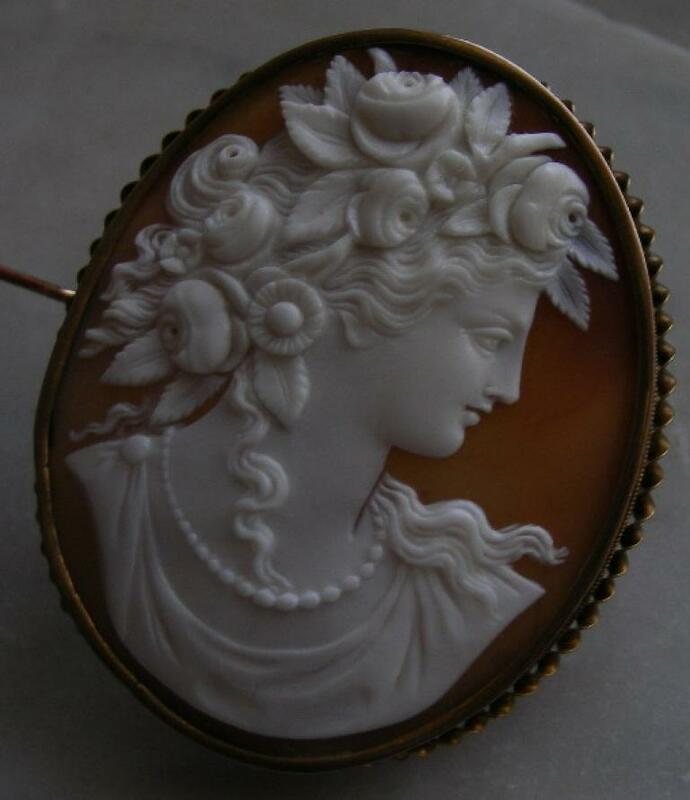 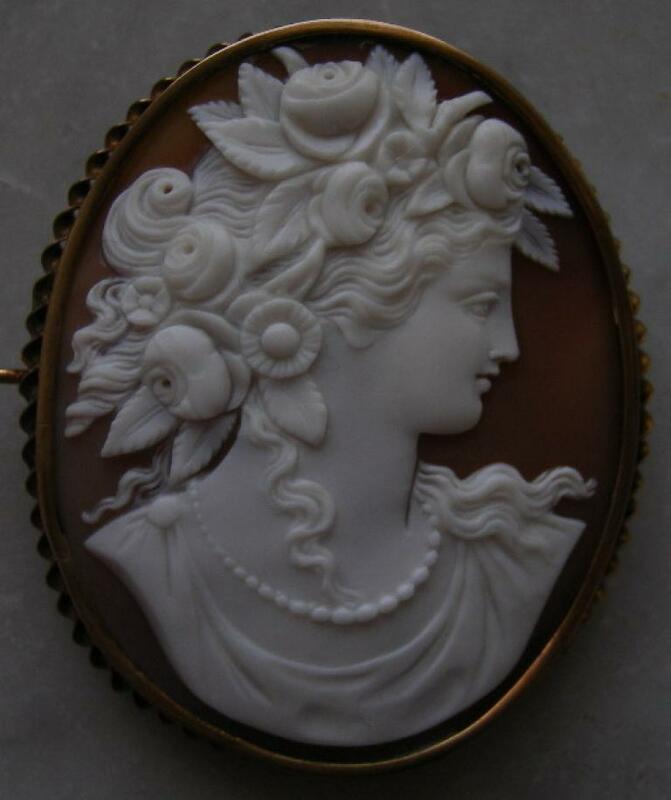 Excellent Quality cameo,the subject of this cameo is Goddess Flora, the carving is superb. 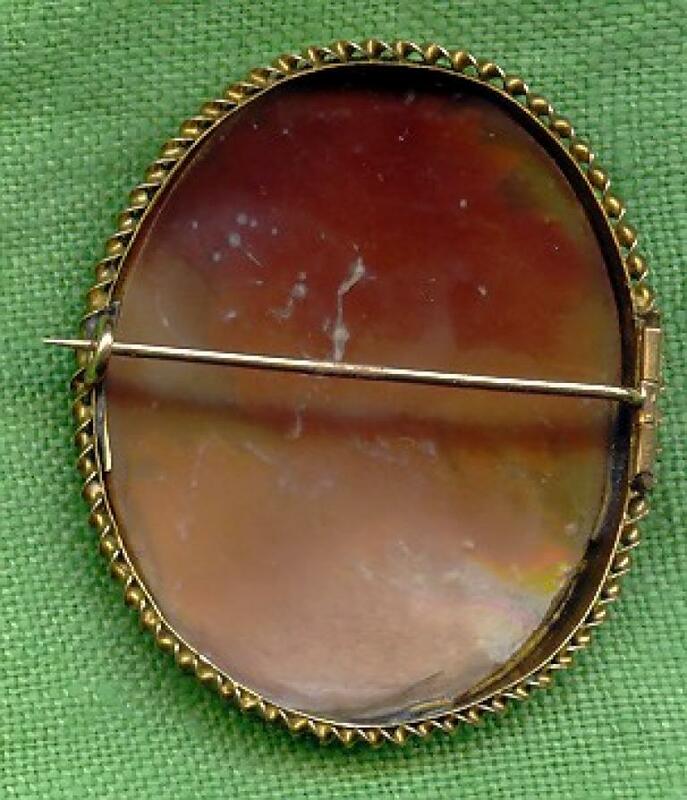 The frame is simple but elegant, 15 kt gold. 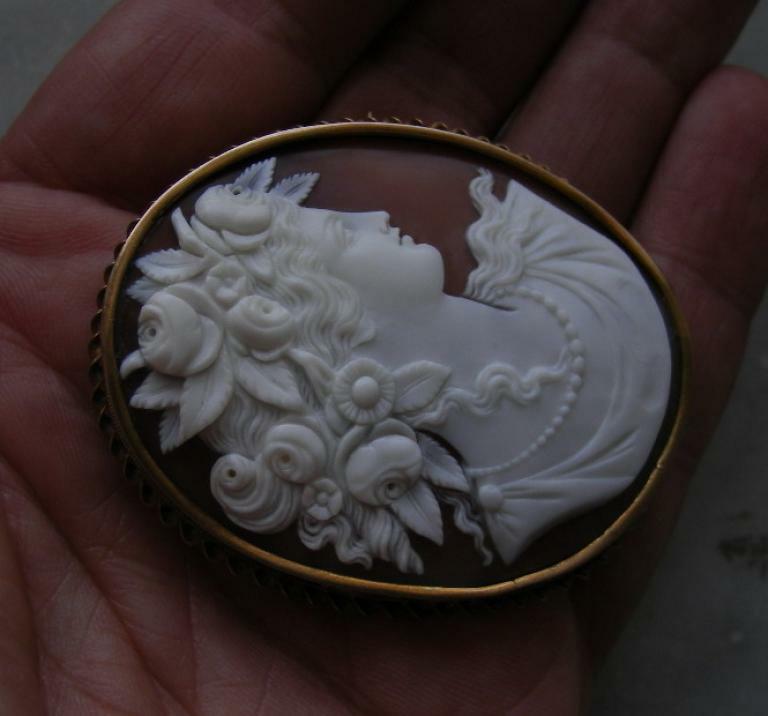 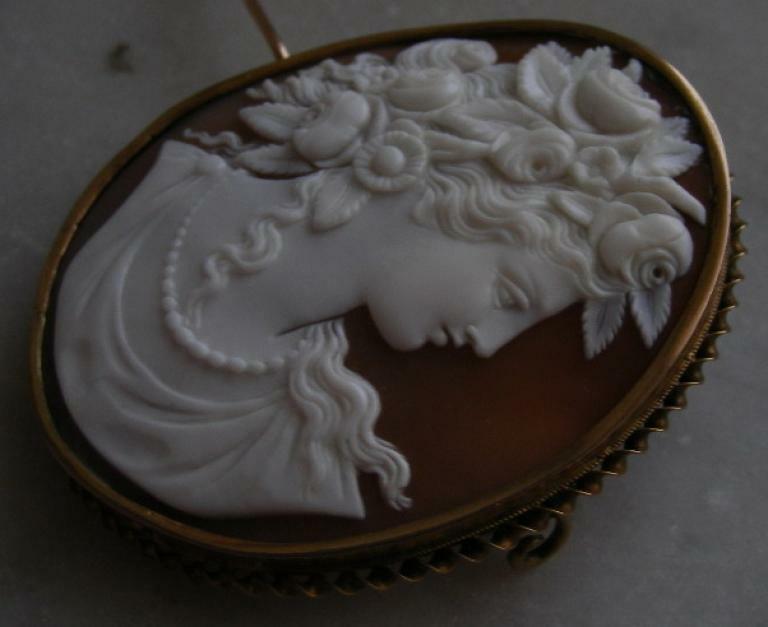 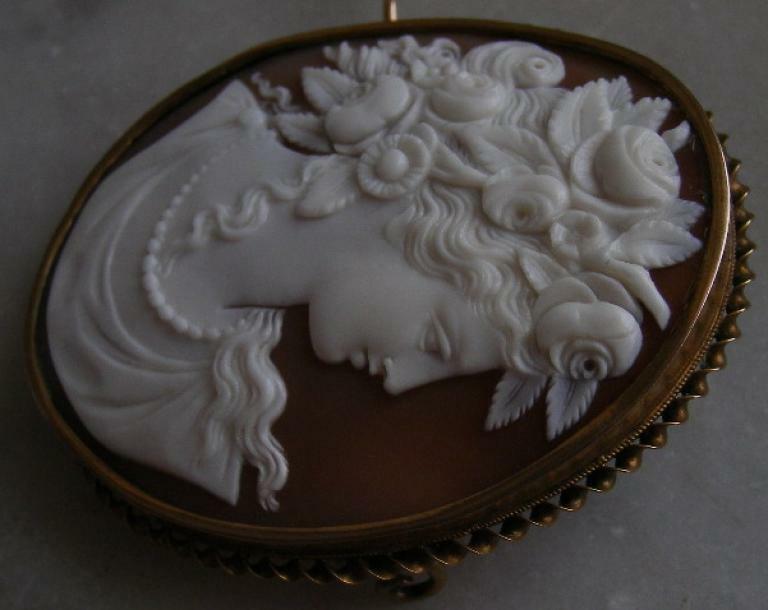 The shell is in perfect conditions with no stress lines or chips or cracks, the era of this cameo is Victorian, about 1870, A very desiderable cameo for any collector.